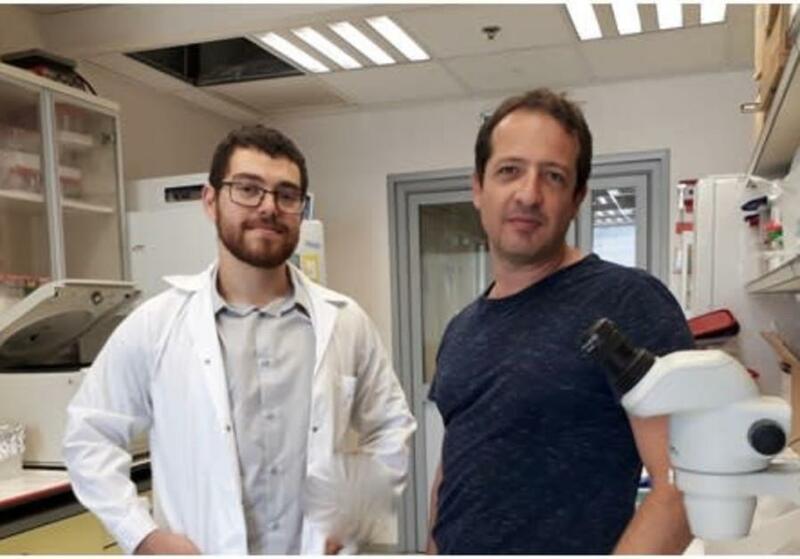 A protein “switch” that activates the immune system to attack cancer cells when it detects signs of the disease has been developed by researchers from the Massachusetts Institute of Technology and the Hebrew University of Jerusalem. The switch stimulates an immune response only when it detects the cancer cells, without harming other healthy tissues, the researchers said. The important discovery has just been published in the journal Cell. Immunotherapy is now seen as having great potential in the research effort to develop drugs against a wide variety of cancers. Despite this success, the use of immunotherapy remains limited due to the lack of antibodies specific to the tumor of substances that can cause an immune response to a particular type of cancer. The toxicity of certain treatments, such as systemic therapy for the whole body, for example, is another obstacle. In addition, the treatments do not work in all cases; only about 30% to 40% of patients will respond positively to treatment, even with the most advanced drugs. As a result, oncology researchers have been trying to develop integrated therapies of various kinds that serve to increase the immune response to damage the cancer cells accurately and specifically by directing the immune system to attack only cancer cells. But to activate the immune system against the tumor, but not against the healthy tissue, a sophisticated mechanism was needed to distinguish between them. In a research collaboration between MIT and HU and headed by Dr. Yuval Tabach in Jerusalem, the researchers developed a method for finding short sequences of DNA that differentiate cancer cells from healthy tissue. The research itself was conducted by Dr. Lior Nissim, MIT researchers, and Doron Stop, an HU doctoral student who is also a medical student in the Jerusalem faculty. These DNA sequences, called “promoters,” react to an existing state of the cell and change it by expressing proteins that are suitable for it – for example, in a situation of heat stress. The team found that naturally occurring proteins in cells do not distinguish well between cancer cells and healthy cells. The researchers then developed a method that enables the design of promoters that discriminate between cancer cells and healthy cells. They are continuing to develop them with DNA sequencing and using machine-learning algorithms to distinguish between them thus creating a “guided missile” that attacks only malignancies. To the missile, various methods of killing cancer cells could be added, including an immunotherapeutic “Trojan horse” approach. To do this, the research team built a genetic circuit, encoded in DNA, to differentiate cancer cells from non-cancer cells. The circuit, which can be customized to respond to different types of tumors, is based on simple gates used in electronics that will create a circuit only when two existing inputs are present. The method is based on the fact that cancer cells differ from normal cells in the profile of their gene expression. The researchers developed synthetic promoters – DNA sequences – designed to initiate gene expression, but only in cancer cells. The circuit is transferred to cells in the affected area via a virus, and focuses on tumors more accurately than existing treatments, as it requires two cancer-specific signs before it responds. The researchers were able to build a system that works only in specific cancer cells. They attached an “alarm mechanism” to the system, which activates the immune system and infiltrates the system with virus vectors for a mouse with cancerous growths. In response, only the cancer cells activated the alarm system that caused the immune system to attack the tumor. Moreover, the researchers have shown that the circuit can also focus on other types of cancer cells. Therefore, the researchers hope the system will also be used to treat other diseases, such as rheumatoid arthritis, inflammatory bowel disease, and other autoimmune diseases.